Muhammad Yaqoob, son of Taliban founder Mullah Mohammad Omar, who carries enormous prestige within the movement, was brought in as one of his two deputies. 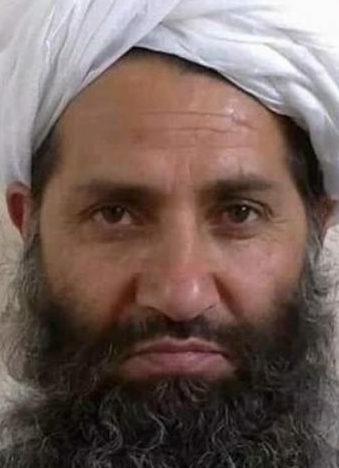 Mullah Haibatullah Akhund Mawlavi Haibatullah Akhundzada was born 1960 and hails from Sperwan area in Panjwai district of Kandahar. Haibatullah is a member of the respected Noorzai tribe and comes from the Taliban’s spiritual heartland, which gives him clout over southern commanders and could potentially help him unify discontented factions. During the Soviet invasion of Afghanistan in the 1980s, he lived as a refugee in Pakistan’s Balochistan province and studied in local madrassahs, or Islamic seminaries. His family fled around 1979 to Balochistan and settled in a refugee camp near Quetta, where he was taught religious studies by Afghan ulama. Four years ago (2012), an Afghan Baloch in Kuchlak area called Mohammad Alam Mohammad Hassni, from the Mohammad Hassni tribe — who was famous for his transport business and well-known locally as al-Haj, a title used for someone who has performed multiple Hajj or pilgrimages to Mecca — set up a mosque and a madrassah in the area. He made Haibatullah the imam of the mosque and put him in charge of the madrassah called Khairul Madaris, where he also lectured senior students. Many of those students became Taliban cadre. Gul Mohammad Kakar, a Kuchlak local, said the new Taliban chief was famous for his religious knowledge and oratory skills. When he spoke, Kakar said, people listened. He was also known for his good manners. He performed those duties until he was elected a deputy of late Taliban chief Mansoor in August 2015. Sources close to the Taliban claim that Haibatullah stayed in the area until an attack on Mansoor last December. After the attack, he left, and his whereabouts since then have been uncertain.